Dr. Chhabra is always available, counseled me weekly on my individual program and helped guide me to a well-balanced nutritional meal program. Dr. Chhabra additionally ensured that as I lost weight that my physical and mental health was in balance and not affected by the weight lost program. At this stage in my life I have a few medical issues and knowing that I had Dr. Chhabra closing watching and caring for me throughout this program is of great comfort. I have been overweight most of my adult life and have always eaten the wrong types of food and always way much more than I needed. Working with Dr. Chhabra and her staff has given me the incentive and fortitude to change my eating habits. I am now 40 lbs lighter, have more energy, feel better, look better and my overall health is much improved. My medical doctor is delighted with my results and the improvement in my overall health. 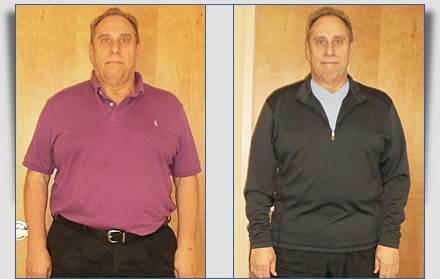 Thanks to Dr. Chhabra and her entire team, I have achieved my initial weight loss goal of losing 40 lbs. and I plan on continuing to work with Dr. Chhabra to maintain and to lose additional weight.